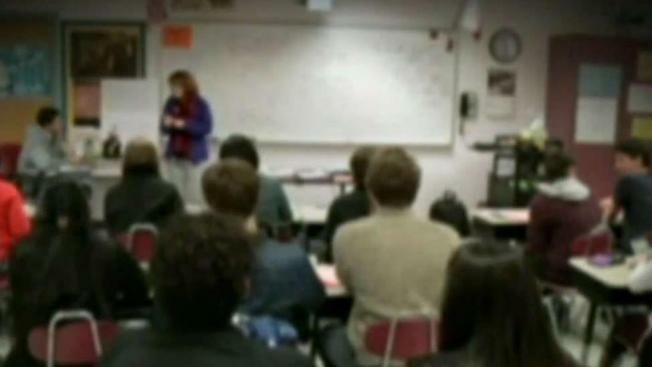 Public school teachers are planning a protest in Prince George's County, Maryland, beginning Monday and some teachers may call out sick. The teachers are protesting what they say are "unjustified" pay increases for some central office employees. Prince George's County Public Schools CEO Kevin Maxwell sent a letter to schools on Friday warning that some employees were planning a "sickout" and schools should prepare for higher than usual teacher absences. Maxwell instructed schools to report unusually high absentee rates. The letter says that the Prince George's County Educators' Association voted for a county-wide "Work to Rule" for March 19 through March 29, meaning the teachers will not work above and beyond what their contracts mandate. Teachers plan to walk into schools together and leave together as a sign of solidarity. PGCEA has told teachers to adhere to their contracts, which do not support organized sickouts. The union is asking teachers to wear blue on Monday in support of the protest.